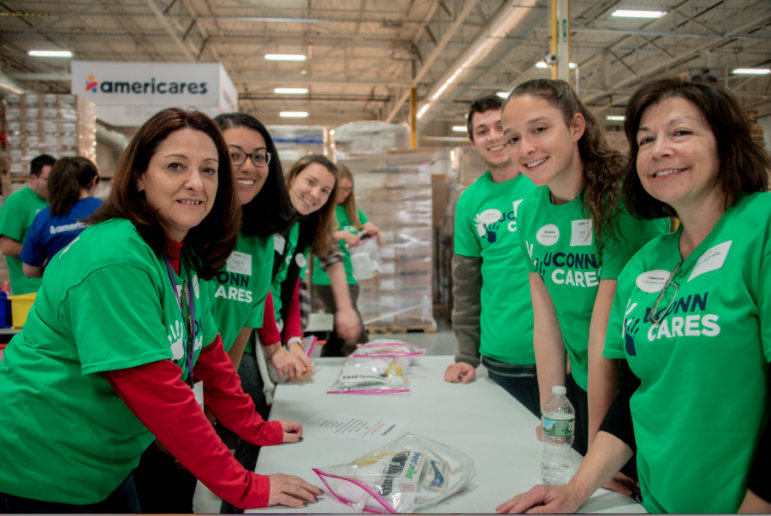 More than 50 volunteers from UConn’s Fairfield County Alumni Network recently assembled 1,000 emergency kits for disaster survivors at Americares headquarters. The event last Tuesday, April 10 was organized in celebration of National Volunteer Week and UConn Cares, a month-long initiative encouraging alumni to celebrate their Husky pride and volunteer within their local communities. Volunteers from UConn’s Fairfield County Alumni Network assemble emergency kits at the Americares distribution center in Stamford. Established in 1974, National Volunteer Week celebrates the impact and power of volunteerism. The local events, volunteer projects and social media conversations that take place during this week demonstrate that every individual has the power to create change — taking action to tackle society’s greatest challenges, and build stronger, more resilient communities. This year thousands of projects and special events will take place April 7-13. 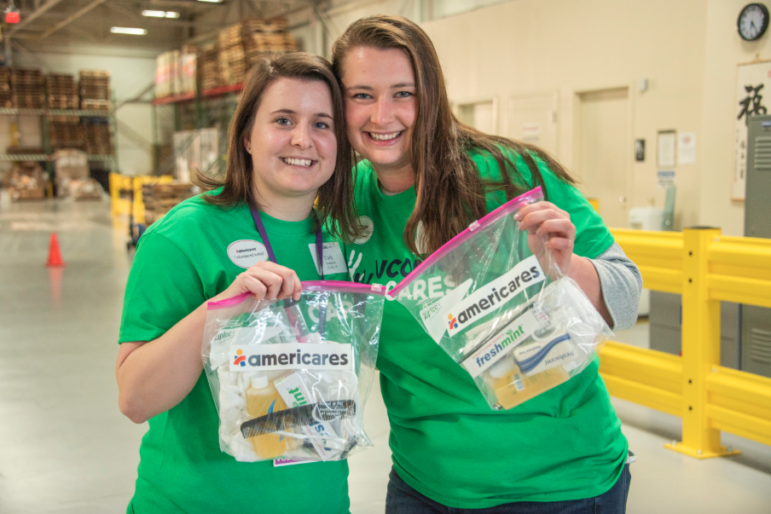 Carly Anderson and Allison Murphy of UConn’s Fairfield County Alumni Network assemble emergency kits in Americares distribution center in Stamford. Stamford-based Americares is a health-focused relief and development organization that saves lives and improves health for people affected by poverty or disaster. Each year, Americares reaches more than 90 countries, including the United States, with life-changing health programs, medicine and medical supplies.